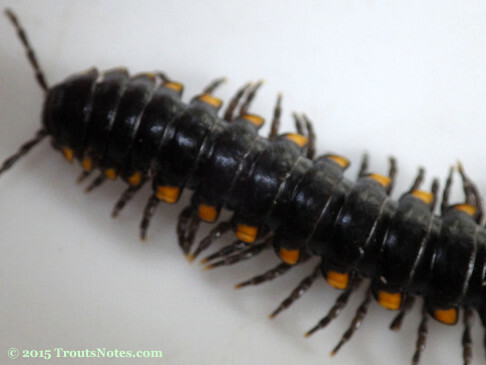 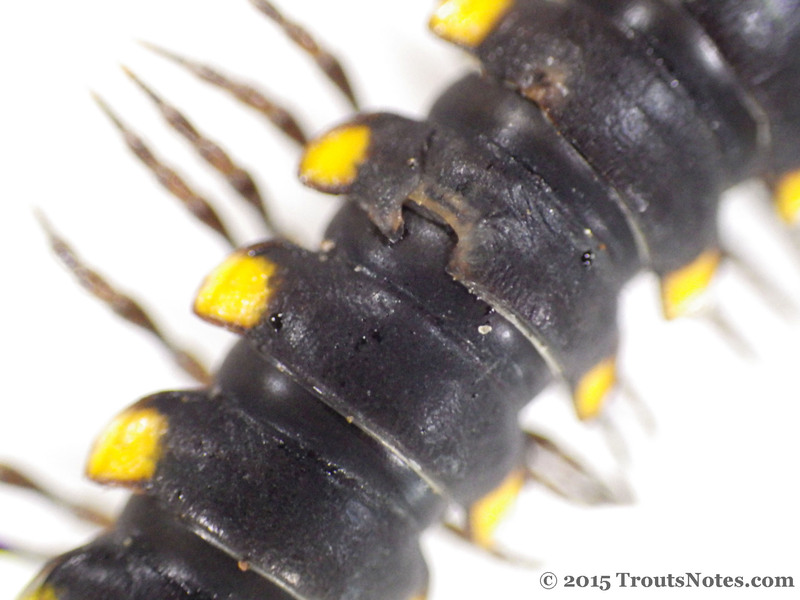 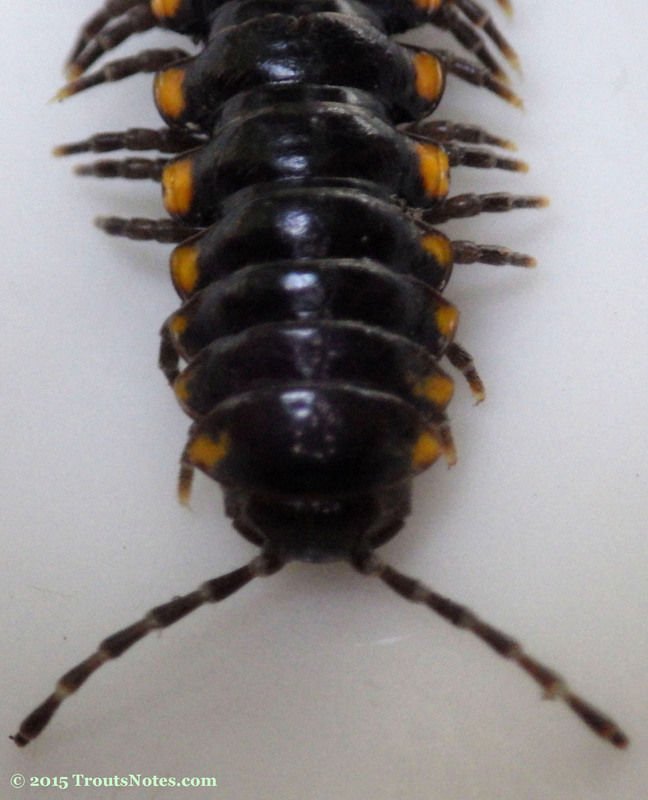 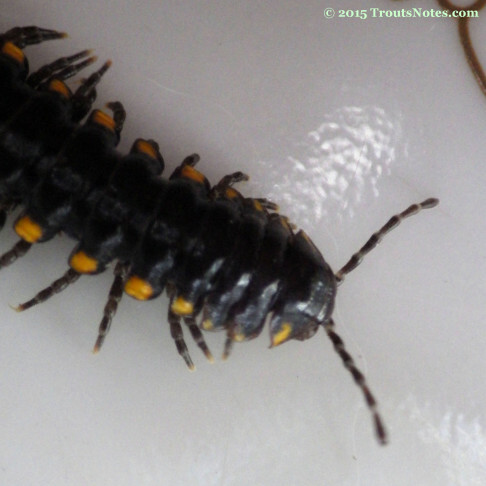 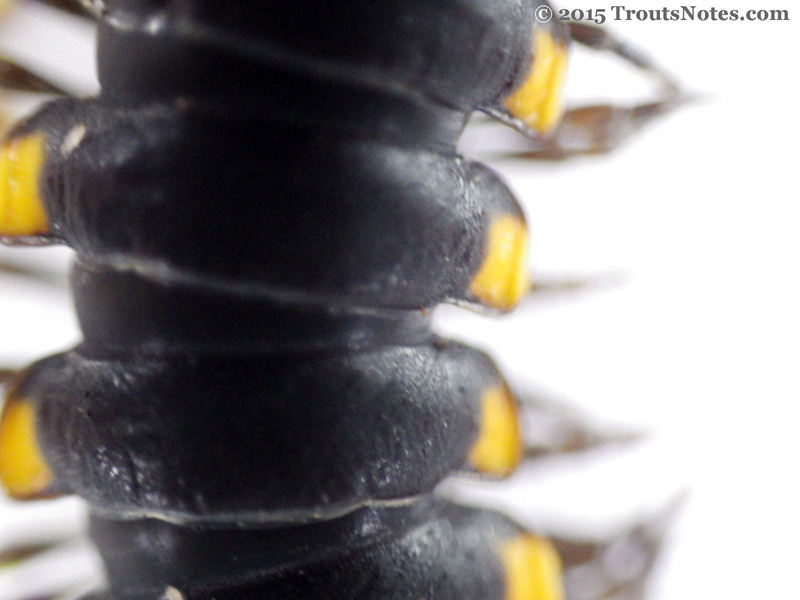 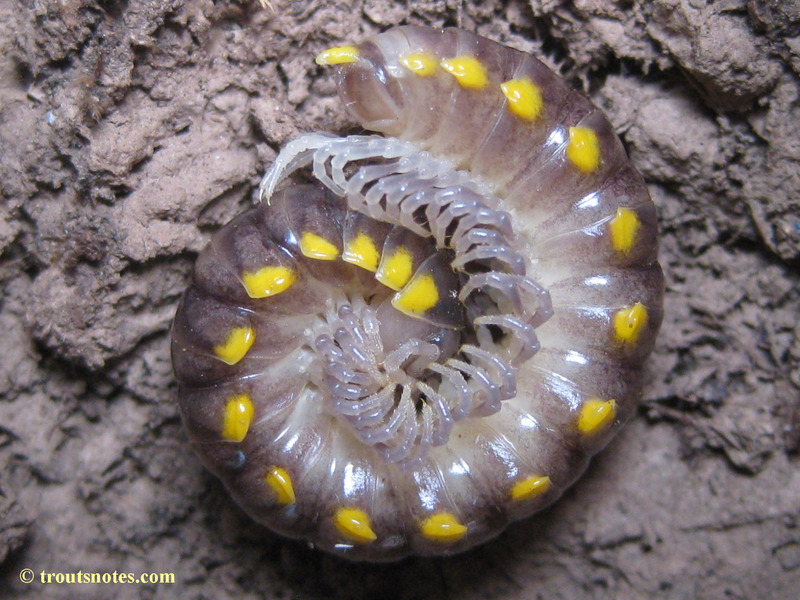 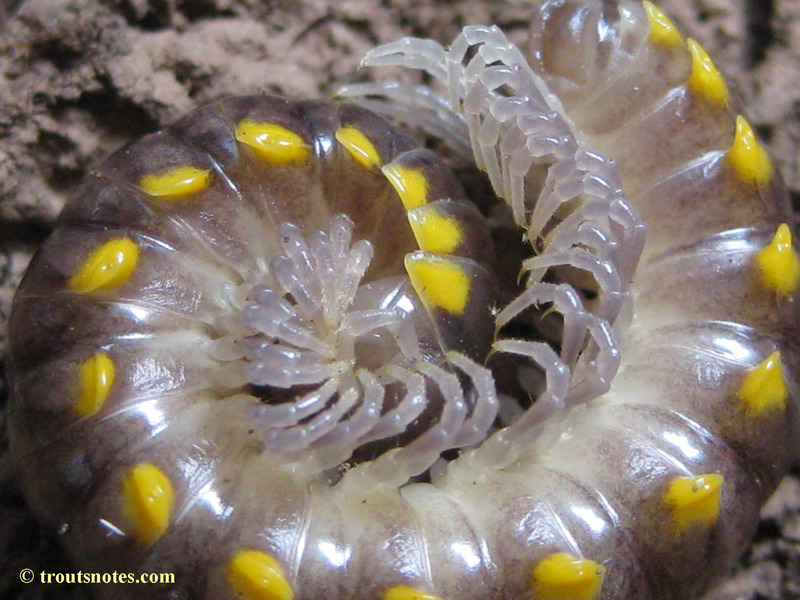 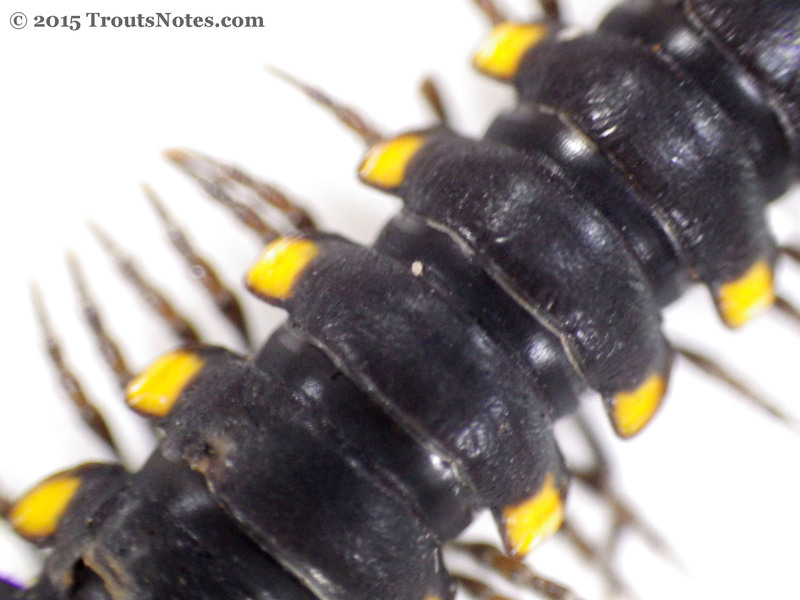 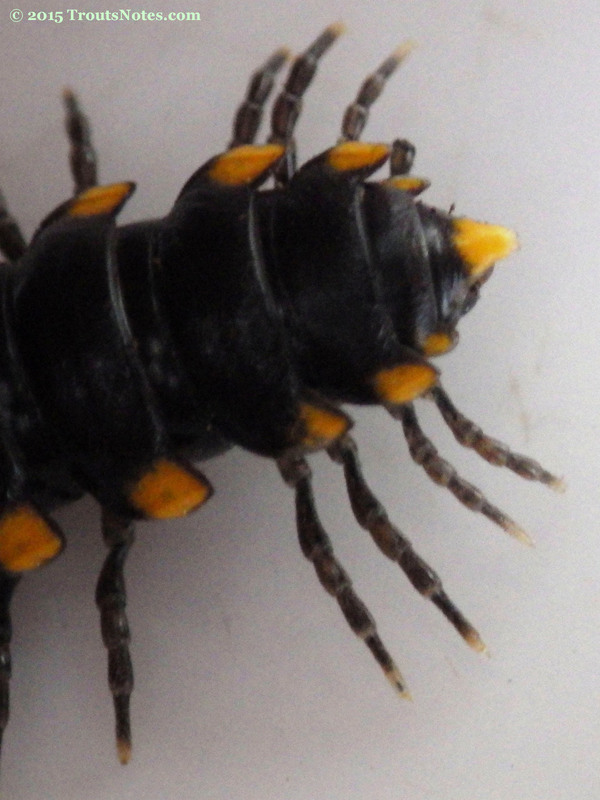 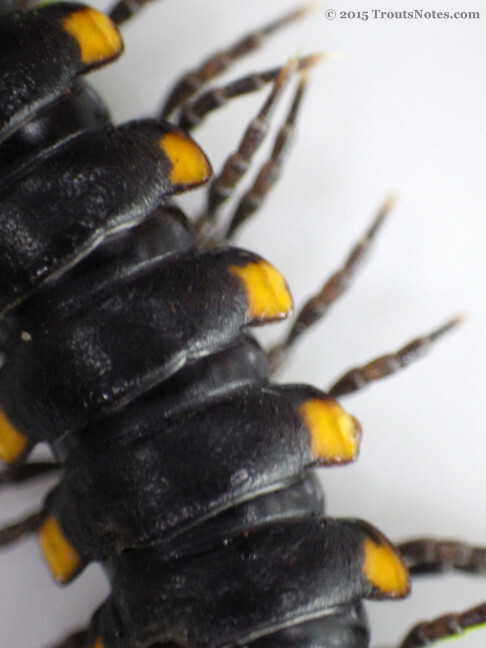 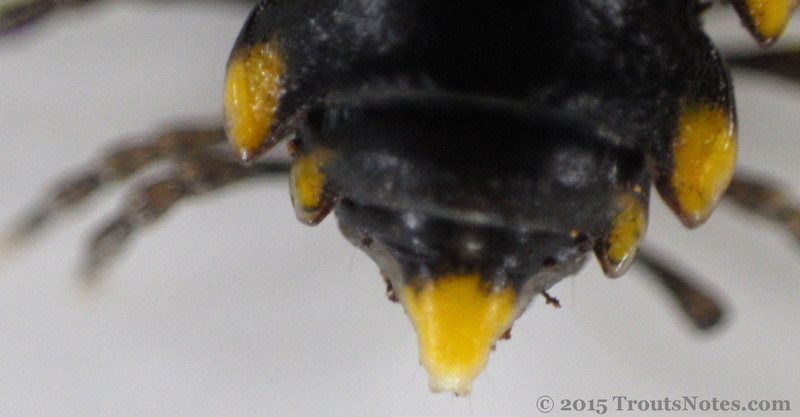 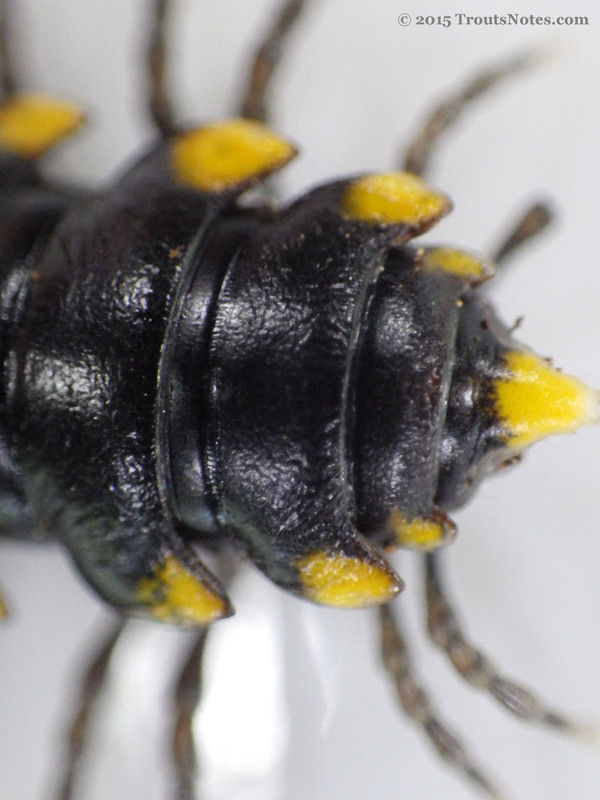 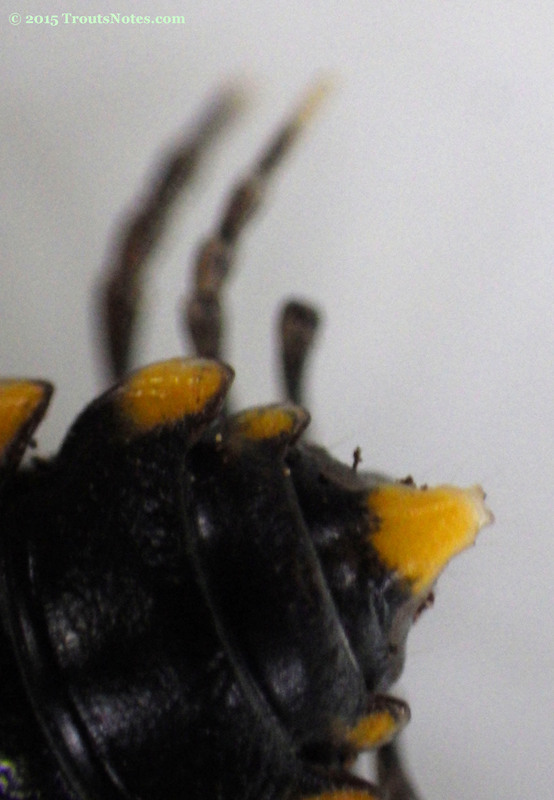 This is also known as the almond-scented millipede due to it producing hydrogen cyanide as a defensive aid. The roughness on the surface of this first animal is just tiny dew drops. 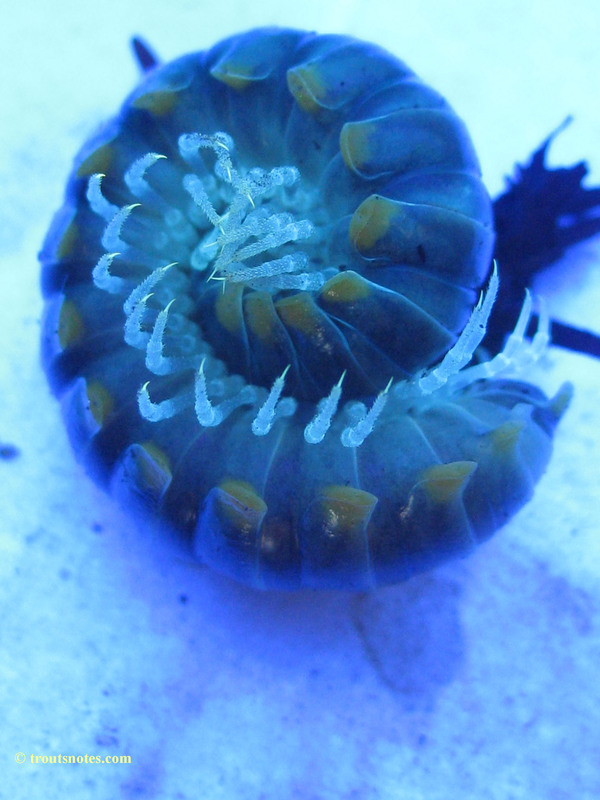 Below is the same one but under UV. 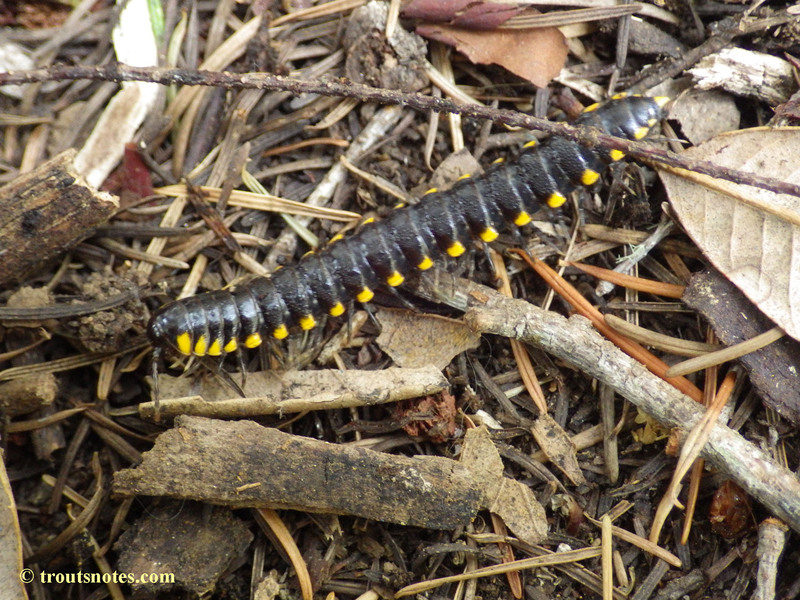 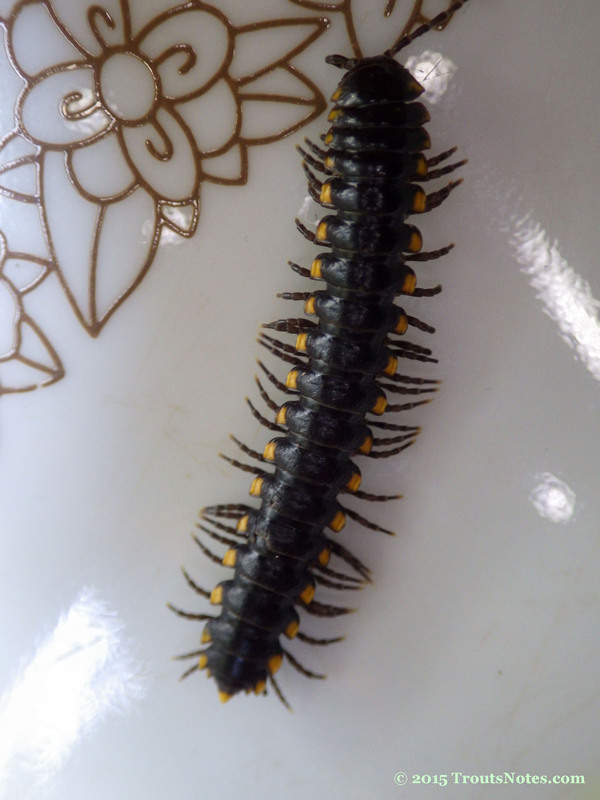 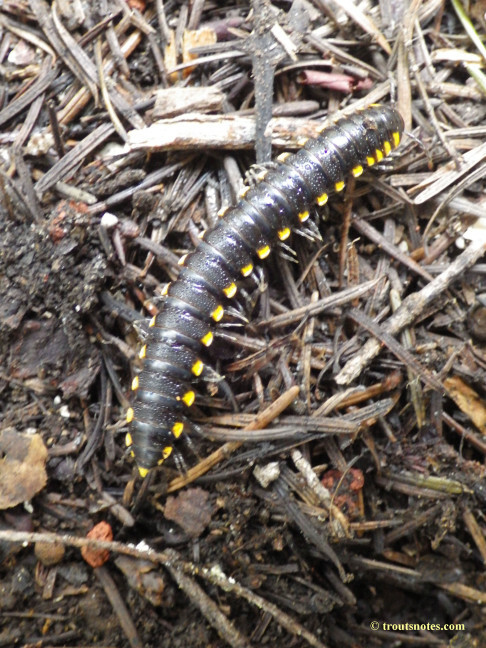 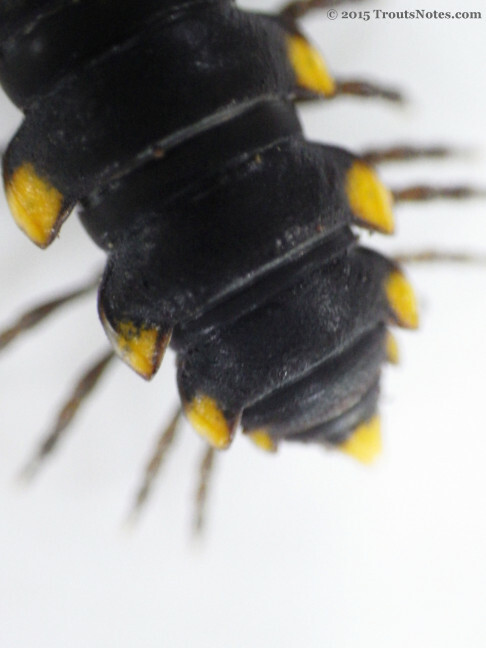 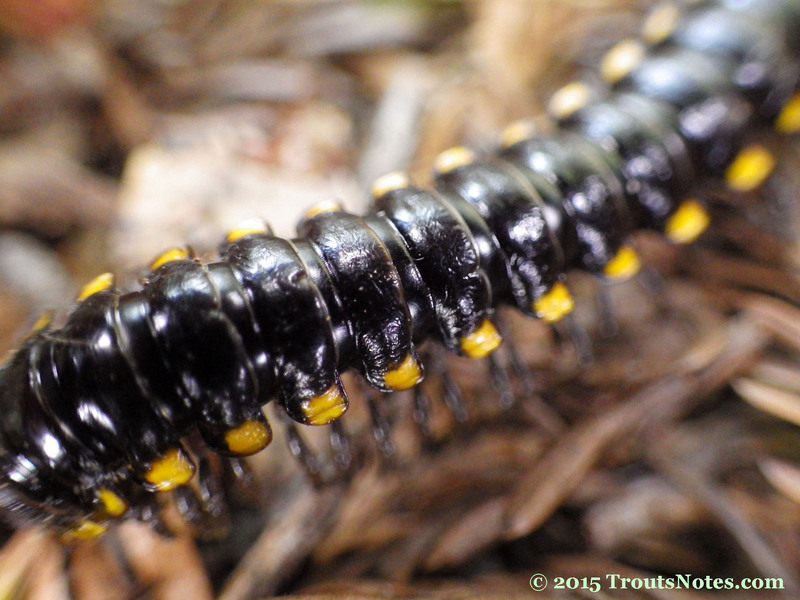 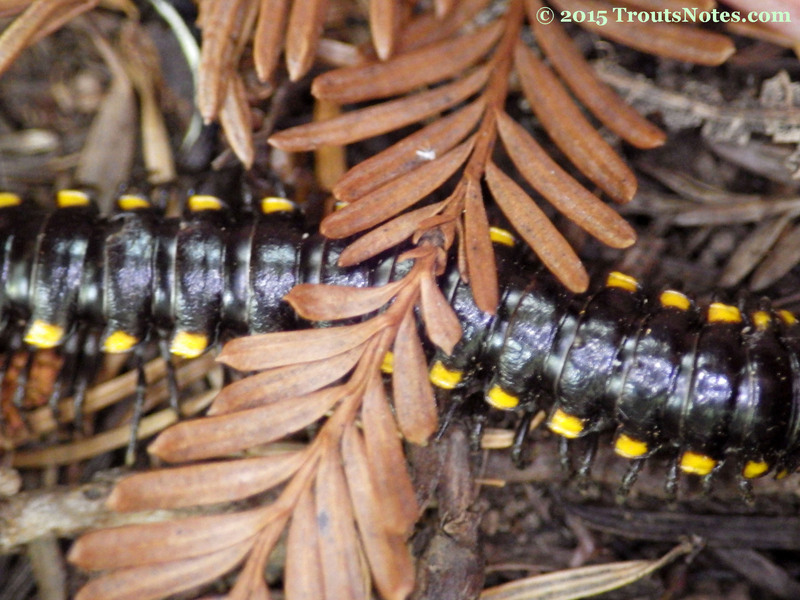 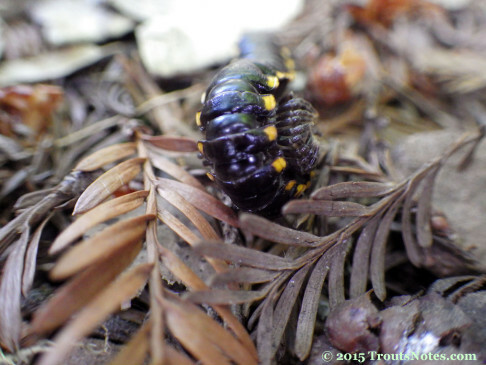 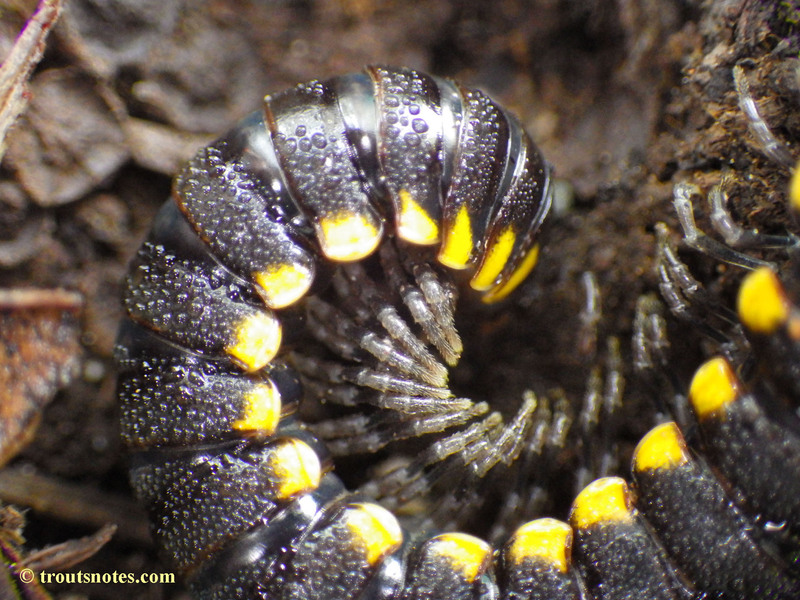 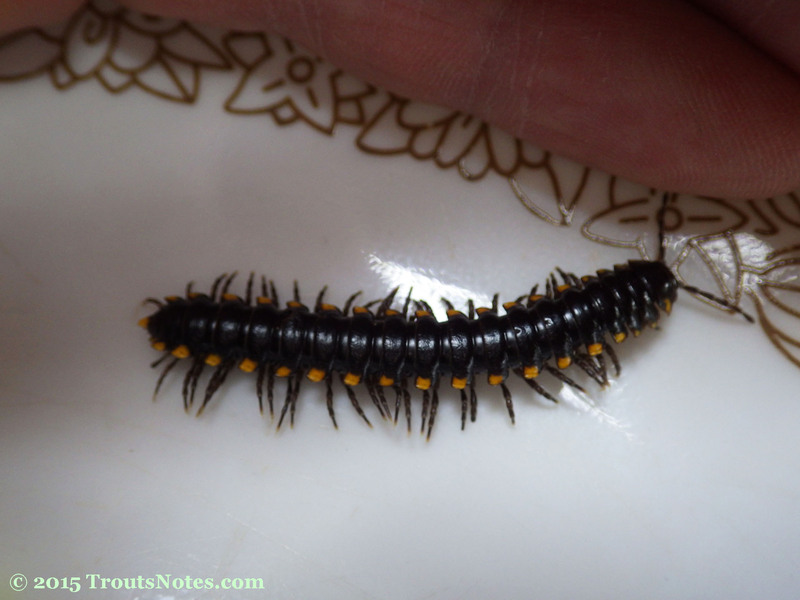 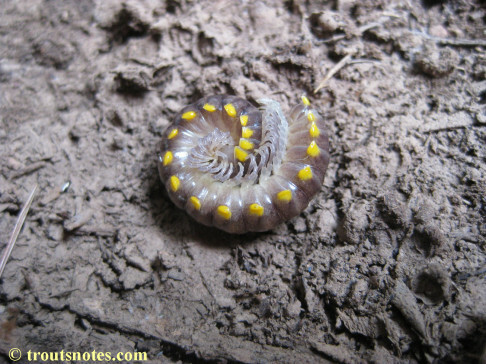 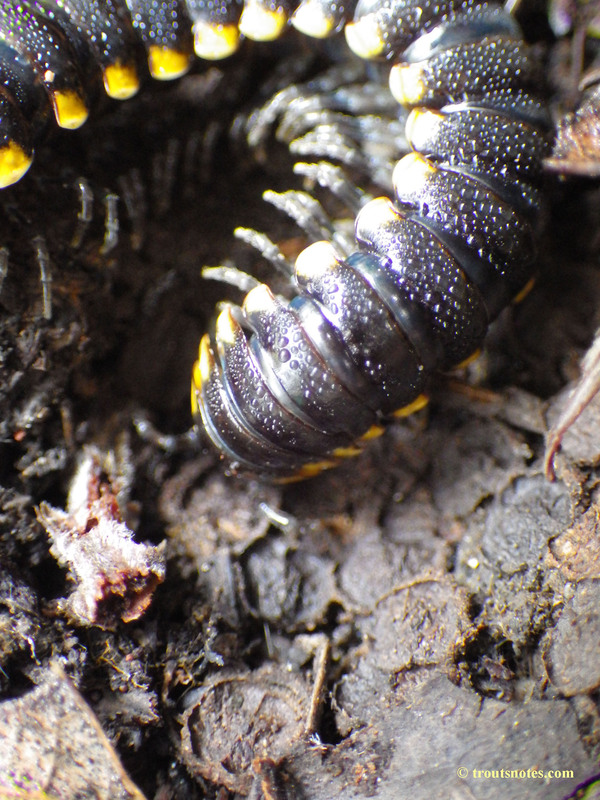 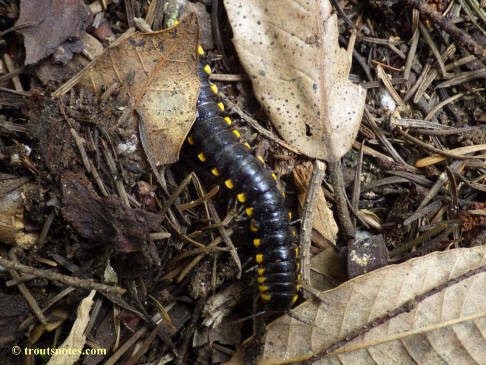 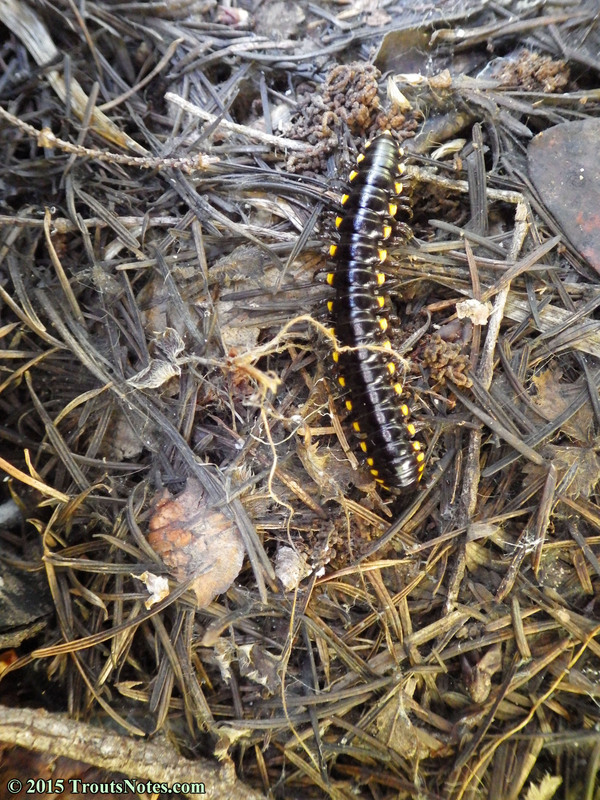 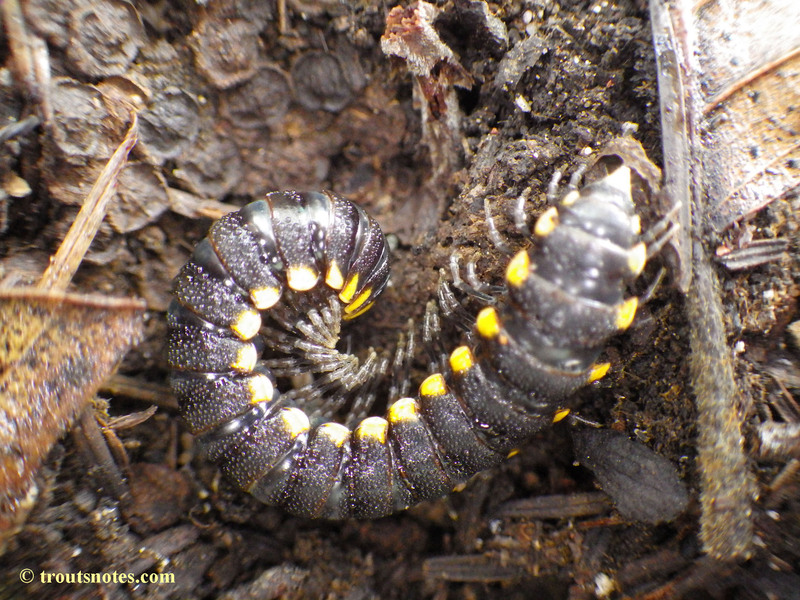 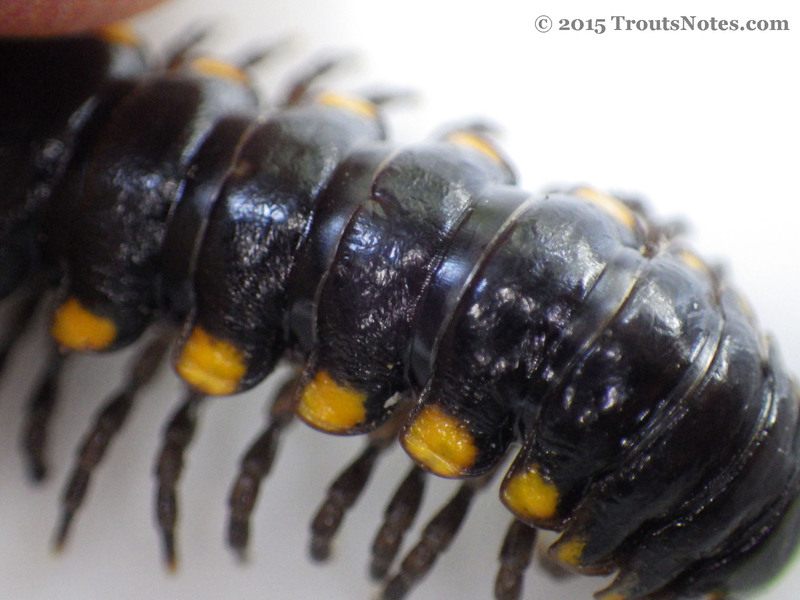 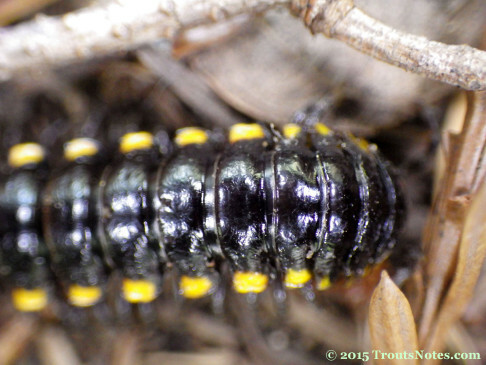 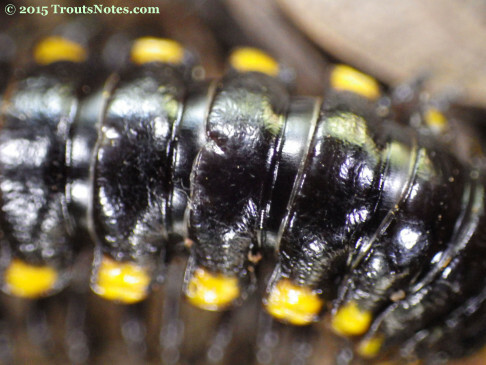 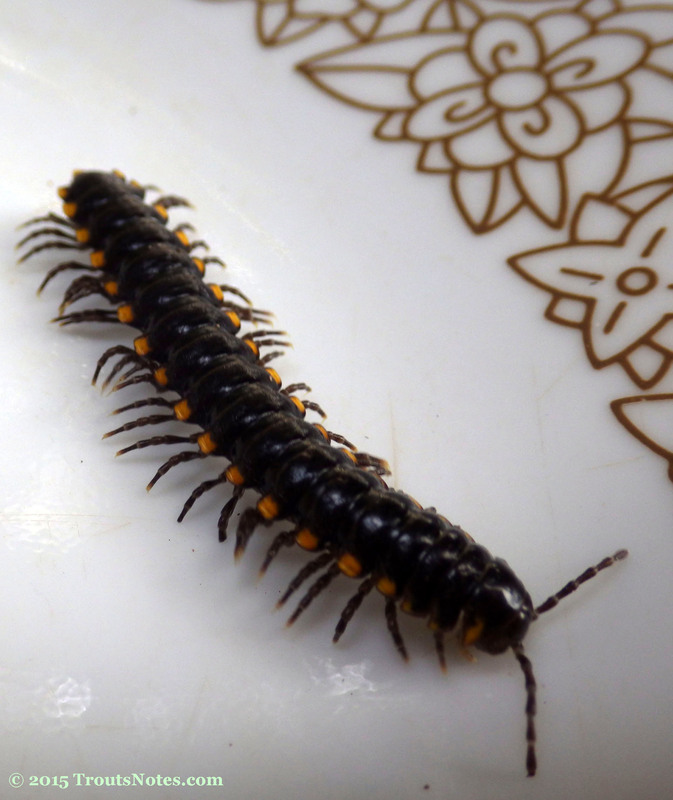 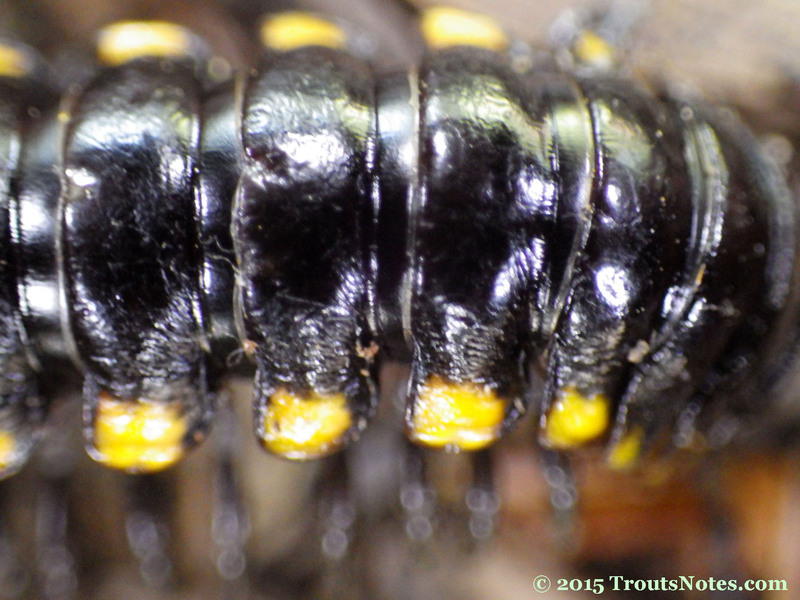 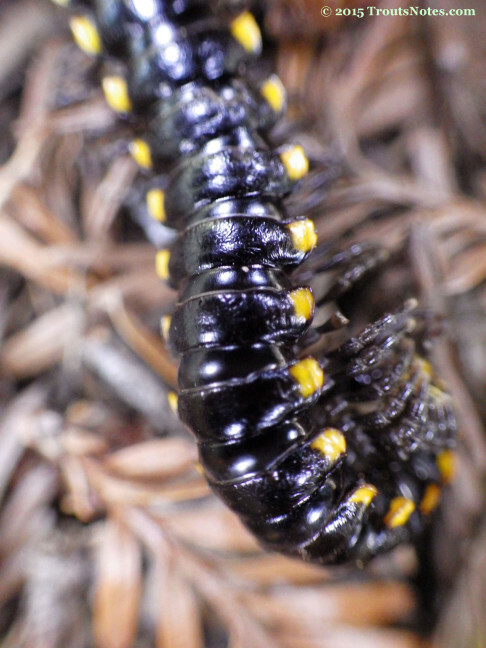 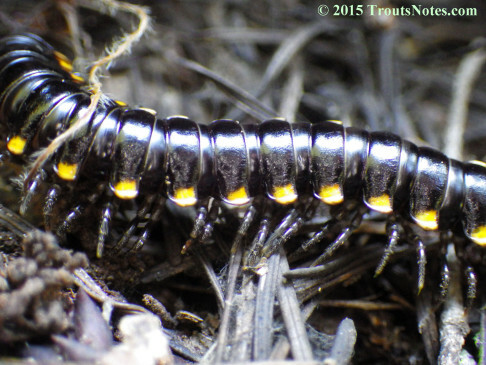 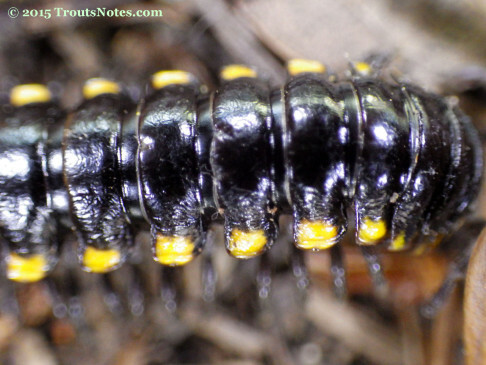 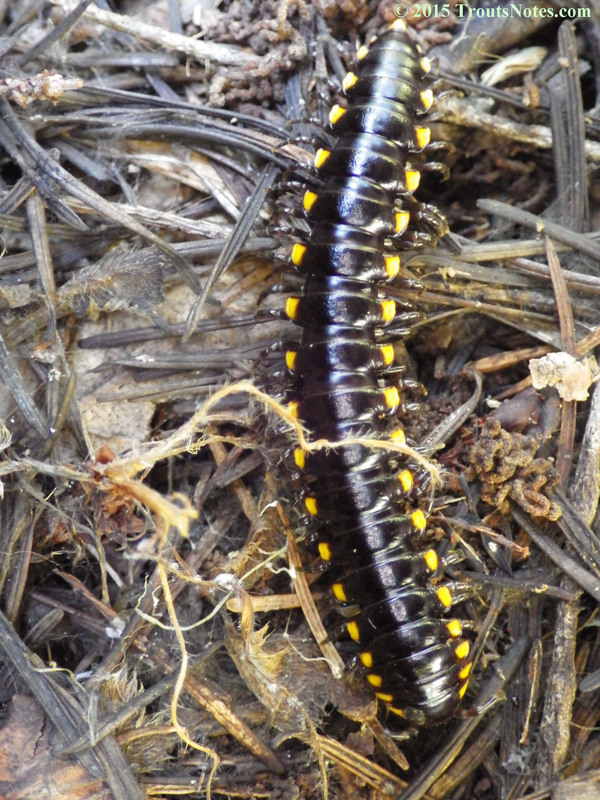 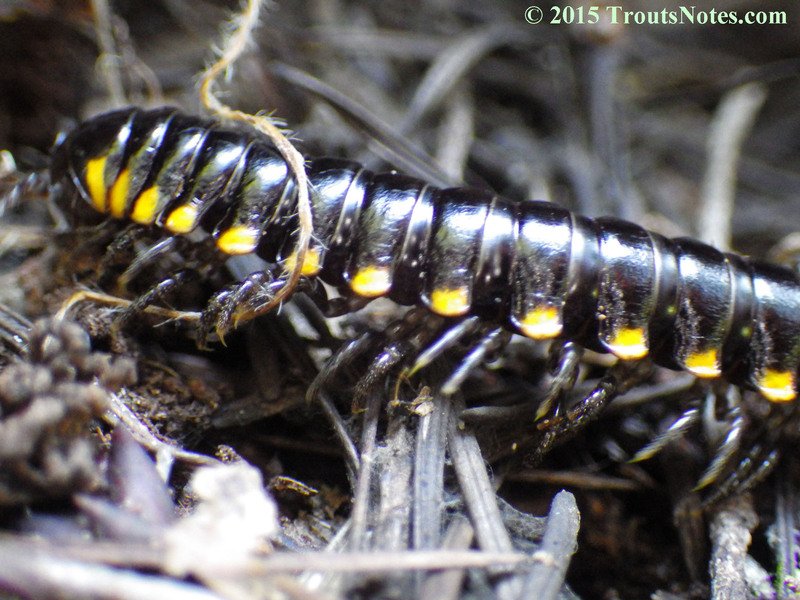 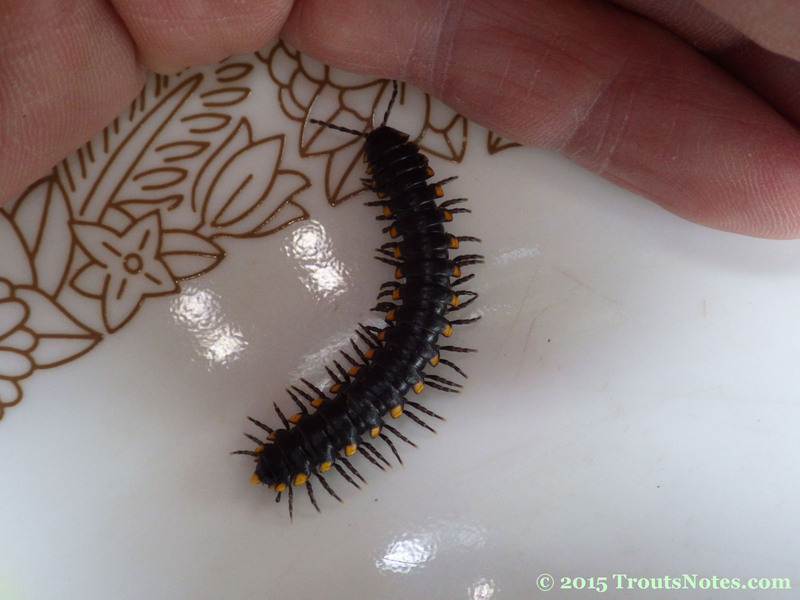 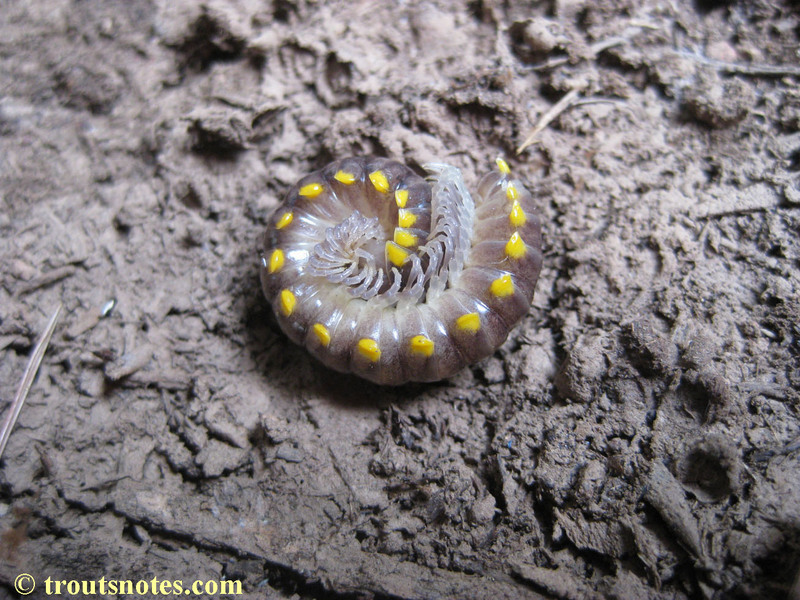 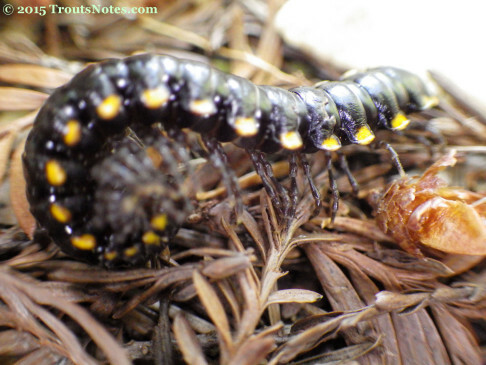 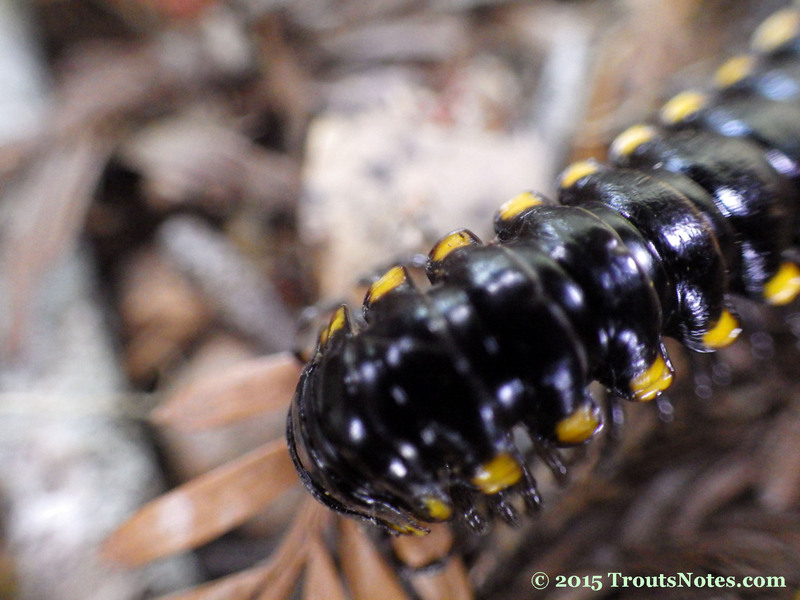 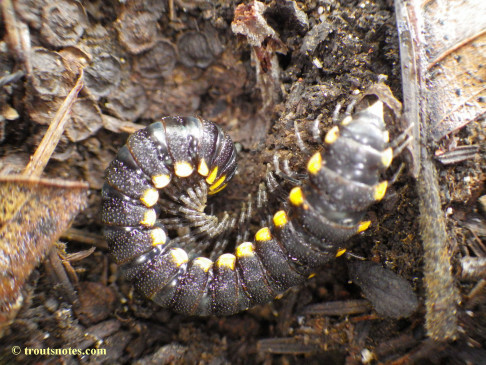 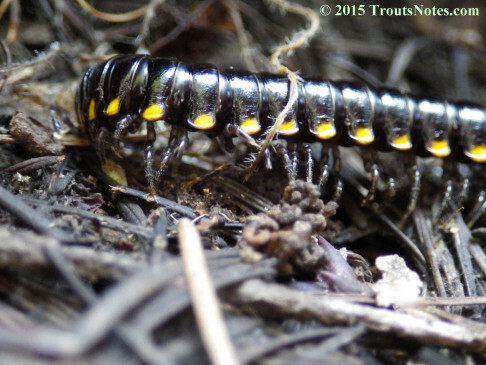 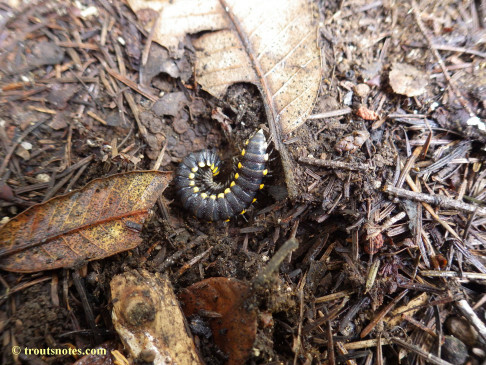 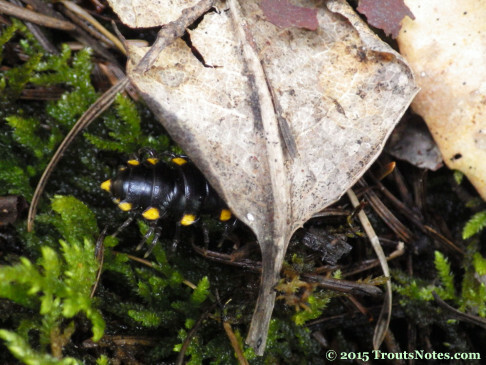 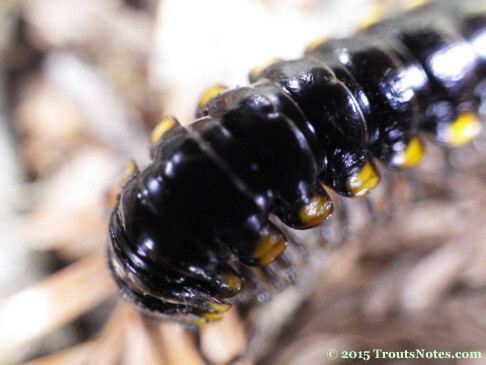 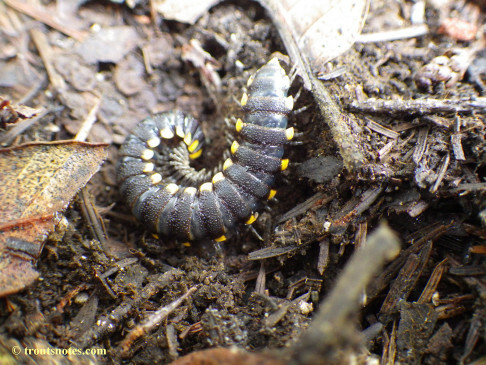 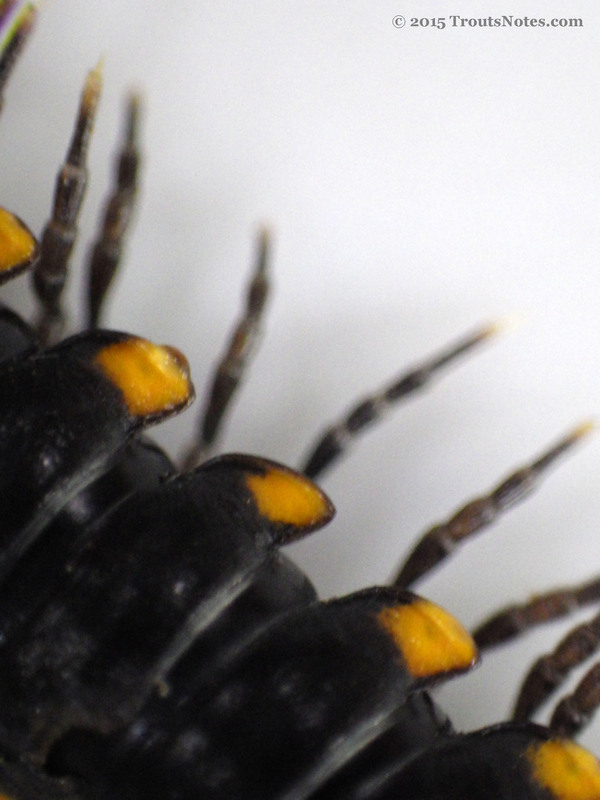 I first noticed a Harpaphe millipede on a dark night wandering around the forest looking for black-light friendly mushrooms. 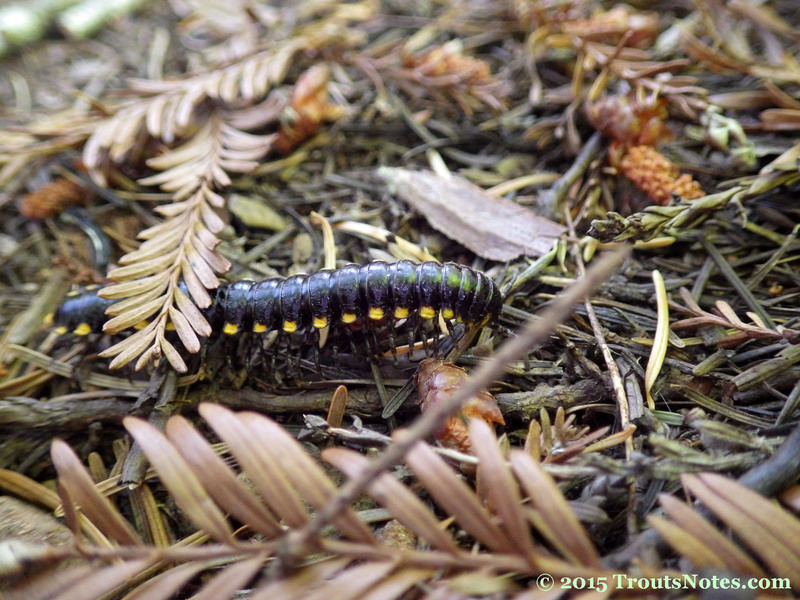 It was apparently sleeping as at first it appeared from a distance to be a cluster of blue bristles. As the light got closer it began to move. 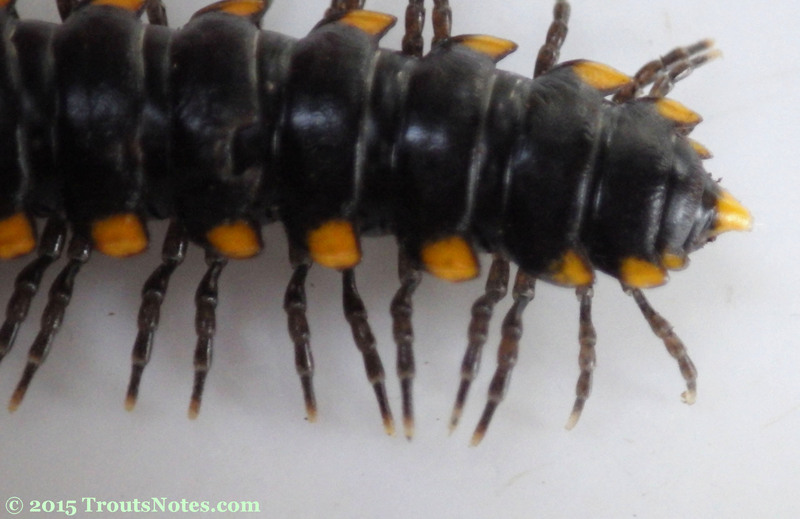 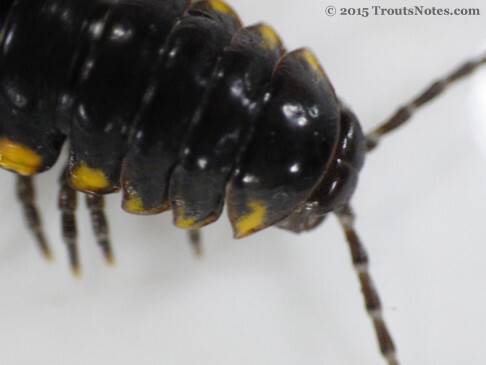 It seems clear that black-light bothers arthropods that fluoresce as they actively try to get away from it.